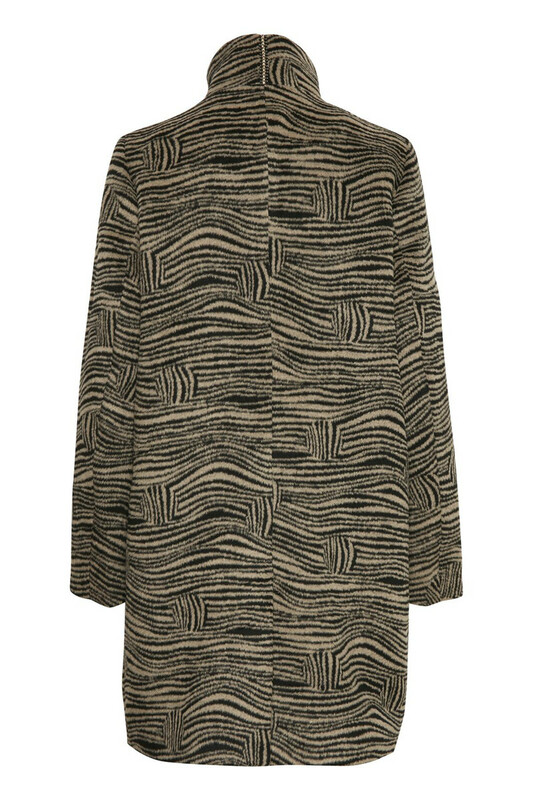 If you are missing a new coat, this beautiful Cordelia Coat from Culture can be it. 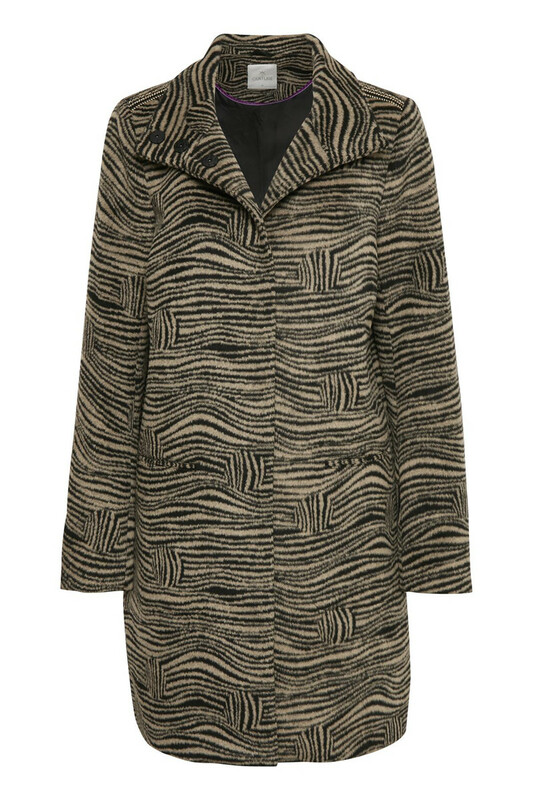 The coat is decorated with a nice ribbon at the shoulders, has a loose fit and a hidden button closure in front. The beautiful zebra patterned fabric is soft and delicious, A real eyecatcher.